I should tell y’all sometime about the day I first set foot in Austin back in 1992. It was a life changer and a magical moment. I’ve been forever in love with riding bikes around that city because of it. I know not all cities are perfect for cycling, but pretty much year round Austin is better enjoyed by bicycle than any other means of transportation I can think of. 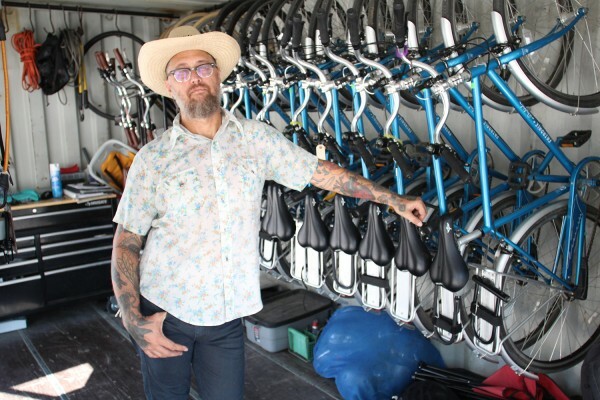 Austin Bike Tours and Rental recently picked up a fleet of 30 Daybirds and put them to work. On a strictly personal level that is a such an awesome achievement for me! 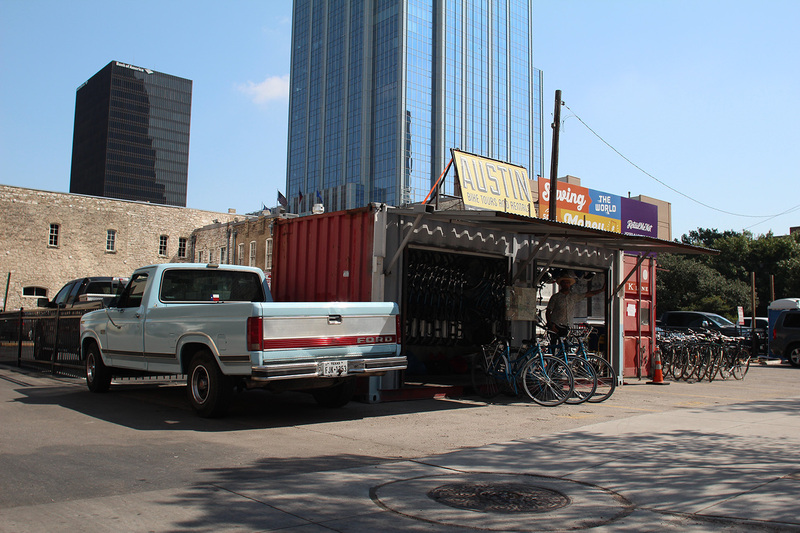 Fairdale exists because I fell in love with riding bikes around Austin… to see our bikes being lent out of strangers to experience some of what I love is the coolest thing I can imagine. When did you get started? Why did you want to have a bike rental in downtown Austin? I started working for the company in 2011 and bought it in 2012. I’ve been riding around Austin for the better part of 30 years, so I know it’s best experienced on a bike. Tourists are coming here by the plane loads and looking for something cool to do. We get to show them a good time and do what we love. It’s the best way ever to make a living. We love the Daybirds at the shop. We tell our customers that they’re the easiest bikes they’ll ever ride. Most folks we get aren’t avid cyclists. The Daybirds are so stable and easy to operate, our customers are able to concentrate on the sites and let the bike do its thing. How much is it to rent a bike form you guys? There tours too right? Our rental rates range from $10 an hour to $35 a day to $125 for a week. All bikes come with u-locks, lights and a helmet if you want to wear one. Tours are what we really like to do. 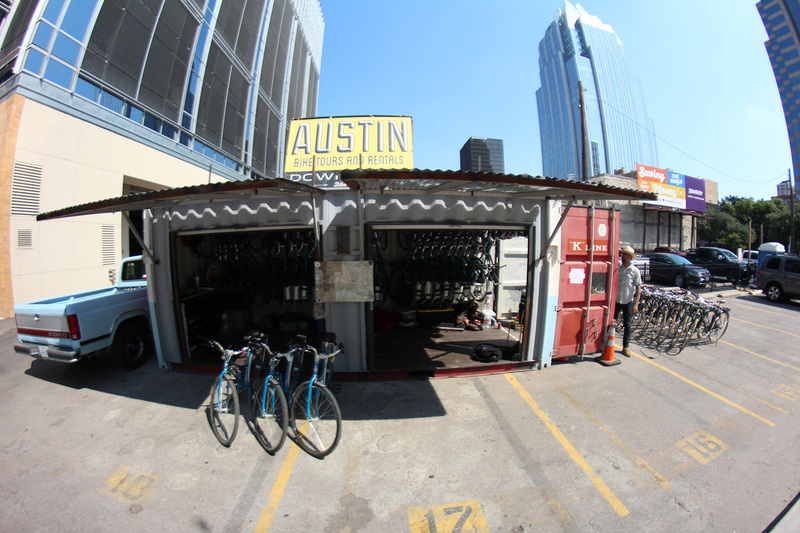 Our “Hey Austin” daily tour is a good way to learn about the city and take a killer bike ride. We also offer a craft beer tour with a local brewer, a music history tour with a local musician and a yoga/swim tour with a local yoga instructor. We’ve arranged bbq picnics and two-step lessons as part of our tours. We’re just doing things that we love on a bike in our city and bringing some out of towners along.